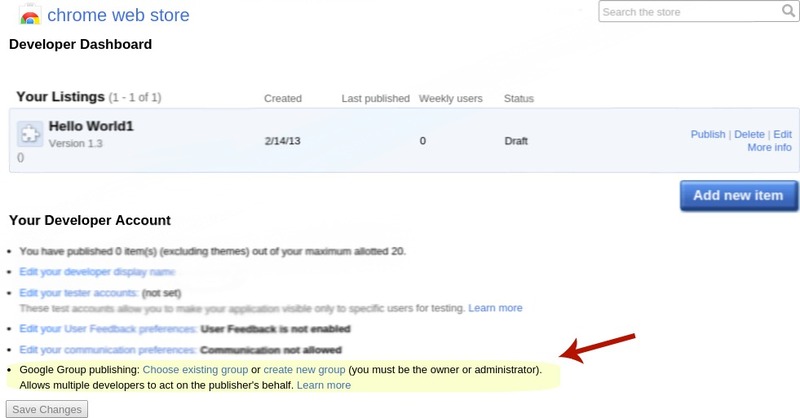 Google today announced the launch of Group Publishing on the Chrome Web Store. In short, the new feature lets multiple people manage the same publisher’s account. Previously, an account on the Chrome Web Store could only be associated with a single email address, making it difficult to give more than one person access to the account to manage the inventory. Group Publishing aims to simplify the management of multiple people accessing an organization’s store account. Once you’ve been added as a member, you can add, edit, and otherwise work with the store items and overall account-related properties. It doesn’t matter whether you have apps, extensions, websites, or themes on the store; this encompasses everything as it is for the whole publisher’s account. This is a small but significant change for the Chrome Web Store. It’s part of a bigger push from Google as a of late to make the Chrome Web Store feature not just content you would expect to be specific to Chrome, but the entire Web.